Living... in a rented house in the toxic waste part of town. He doesn't have much furniture because he believes the things you own end up owning you. As of about a month ago, he has been living with a roommate. His friend's condo blew up, so he told him he could live there on one condition: if he promised to hit him as hard as he could. Profession... movie projectionist and waiter. If it's his shift, you may find pornographic images in your family film or urine in your tomato soup. You can also buy soap he makes from leftover fat from liposuction surgeries for $20 a bar at fine department stores. Interests... meeting up with other guys in the basement of a bar to let off steam by beating the crap out of each other with their bare knuckles. It started off as something he and his roommate did, but it turned into a big group they call Fight Club. But don't ask him anything more about it. 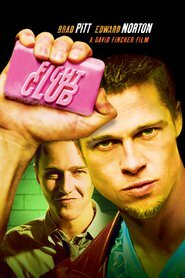 As he says, "The first rule of Fight Club is you do not talk about Fight Club." Relationship Status... dating Marla, which is never a dull moment. He saved her life after she tried to commit suicide, and they've been together ever since. She's twisted, which he likes. And she probably likes his six-pack abs. Challenge... dealing with his anger at the world. As he explains, "We've all been raised on television to believe that one day we'd all be millionaires, and movie gods, and rock stars. But we won't, and we're just learning this fact. And we're very, very pissed off." Personality... complex. He can be cool, confident, and full of deep thoughts. Not only does Marla find him appealing, but so do all the men in Fight Club. As he brags, they look up to him as a guy who can change their world. There's also a psychopathic side to Tyler, but you'll have to watch or read to learn more about that. 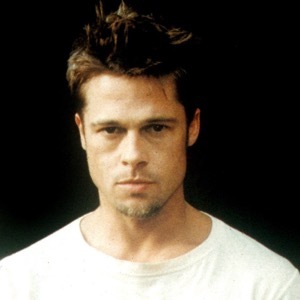 Tyler Durden's popularity ranking on CharacTour is #405 out of 5,000+ characters. See our top-ranked characters and read their profiles.